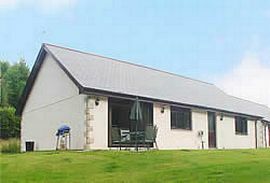 Badham Farm Holiday Cottages offer spacious and luxurious holiday cottages, with secure off road parking and level access to all cottages. 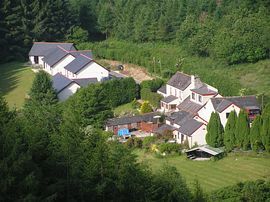 Peace and tranquility in a beautiful wooded valley only 3 miles from Looe and its lovely beaches in the heart of South East Cornwall. 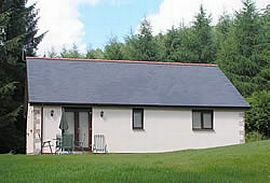 We offer 8 holiday cottages, which sleep from 2 to 8 people. On site facilities include fishing, tennis, mini golf, badminton, games room with pool, table tennis, bar billiards, darts, a 24-hour farm shop and fully licensed bar. 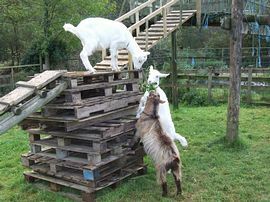 A safe and exciting place for children, with a large play area equipped with swings, trampoline, climbing frame and pets corner with goats, ducks, rabbits, guinea pigs and chickens. Children can help feed the animals. You can enjoy car free days out and visit all the major attractions in Cornwall by rail. Newquay and Padstow only 40 minutes by car. Close to the Eden Project, Lost Gardens of Heligan, Geevor Tin Mine, Rame Head and only 30 minutes from Plymouth and the National Marine Aquarium and sophisticated shopping. Stunning views over valley and lake. Patio, gas BBQ, tennis, fishing, golf putting. Local Services: Pub, restaurant, beaches, train station. Turn 2nd right in .5 miles at Horningtops - signposted Trewidland. In 1 mile at bottom of hill turn right, signposted Looe & Sandplace. Badham Farm is .5 miles on Left Hand side. 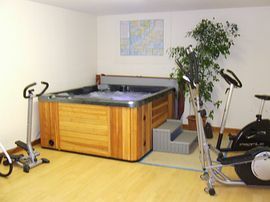 Minimum Low Season rate: £375.00. Green Acorn. Sustainable Business Award.